The Netherlands is to ban all but the hands-free use of mobile phones on bikes from next year, the AD said on Tuesday. 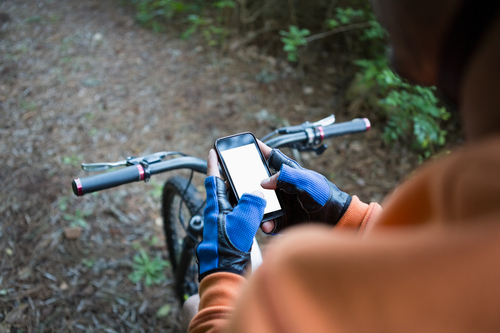 Transport minister Cora van Nieuwenhuizen published draft legislation on Tuesday which will make it an offence ‘to hold a mobile electronic devices while driving all vehicles [so including bikes],’ the paper quoted the minister as saying. The paper says the words ‘mobile electronic device’ rather than mobile phone have been deliberately chosen to take developments in the future into account. Drivers are already banned from using their mobile phones without a hands-free connection in cars and lorries, with a maximum fine of €230. ‘This decision sets a clear and consistent standard,’ the minister said. ‘If you are in charge of a vehicle in traffic, no matter what sort of mode of transport, you should not be holding mobile electronic equipment,’ Van Nieuwenhuizen said. The aim is to introduce the new legislation, which was first mooted in December, on July 1, 2019. One in three 12 to 21-year-olds cycle and use their phones at the same time and phones are said to have played a role in 20% of bike accidents involving the under-25s, the transport ministry said last year.